Should you pay your taxes by plastic? Paying taxes, and that too by going into debt may not sound appealing but can become the only choice when you are going through a tough time. The Internal Revenue Service has made it quite simple to pay your taxes by a simple whip of plastic. Just make sure you have a valid credit, debit or ATM card that’s got enough cash, and an Internet connection or a telephone. There are many intermediaries who handle the payments and accept all credit cards such as Visa, MasterCard, American Express and Discover, but charge a fee for it. This so-called “convenience fee” may be around $3.95 or it may be 2 to 2.5 percent of the tax which has to be paid. But these fees also change over the period of time so be careful and keep a check. The IRS recently changed its policy by making the fee for paying taxes by credit card deductible if you meet certain conditions. The IRS guarantees that it does not disclose any of your personal information to the tax people except the information required to process the tax payment. Further more most of these intermediaries can handle multiple types of payments to the state and the local government. They also offer services to cover the utilities, courts or traffic citation agencies and schools etc. but do keep an eye on the convenience fee as it can accumulate to form a big amount. 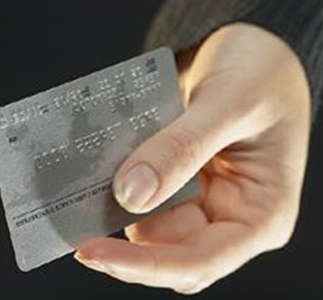 The IRS provides complete information on how to make any of the payments mentioned above by credit, debit or ATM card. The webpage provides a through insight into the whole process, i.e. how the payments are transferred to the taxing agency, how the confirmations are delivered to you and exactly what types of federal tax payments are applicable through this process. The IRS also records any points or refunds that may be applicable to your credit card, but the disadvantages of using a credit card remain valid, as by using it, you are only adding up your debt rather than paying. © Ghosttofalco Money Forum 2019 • AdBooster Designed by BoosterWP.